Thank you for stopping by our official Patreon page. Supporters of the podcast receive access to our ever-growing fantasy football community, including an EXTRA episode every week! They also get access to #FootClan-only leagues, premium projections & flex rankings, priority fantasy questions, monthly giveaways, Q&A live-streams, early access and other special rewards as Official #FootClan Members! Join thousands of other fantasy football players and #FootClan members as well as the guys (Andy, Jason and Mike) as part of our exclusive fantasy football community where we discuss every trade, transaction, start, sit, must-have waiver wire pickup and fantasy football sleeper, bust and breakout. We're committed to making The Fantasy Footballers podcast the absolute best fantasy football show on the planet - one that records and produces engaging and entertaining content all season long all year long! 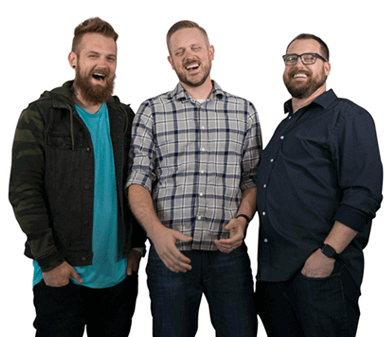 As fathers and husbands, we left our former day jobs to commit ourselves to The Fantasy Footballers and to you, the listener, the supporter, the fantasy football junkie -- the #FootClan! Please help us as we seek to build out an incredible show as a fully independent podcast, a show without a major network or it's corporate backing and resources. Your support makes all the difference! We never take it for granted and work extremely hard to make this show the best it can possibly be. Join our official community and help support the podcast! For the elite #FootClan supporter! Instant reward: A signed photo from Andy, Mike, and Jason from the Ballers studio. Six month mark: Supporters who have pledged for 6 consecutive months at this level receive the ultimate #FootClan badge of honor, our exclusive Ballers RING! This is the ONLY way you can get this hardware and is our thank you for your support of the show! Support the show at this level and receive a guaranteed reply from the guys to all of your fantasy football questions. We get thousands of questions each week, but yours are the priority. All year long. Patrons in this support tier will receive priority answers just like the tier before, but you'll also receive an exclusive #FootClan Hall of Fame forum title and our sincere and unparalleled gratitude for your support of the show!